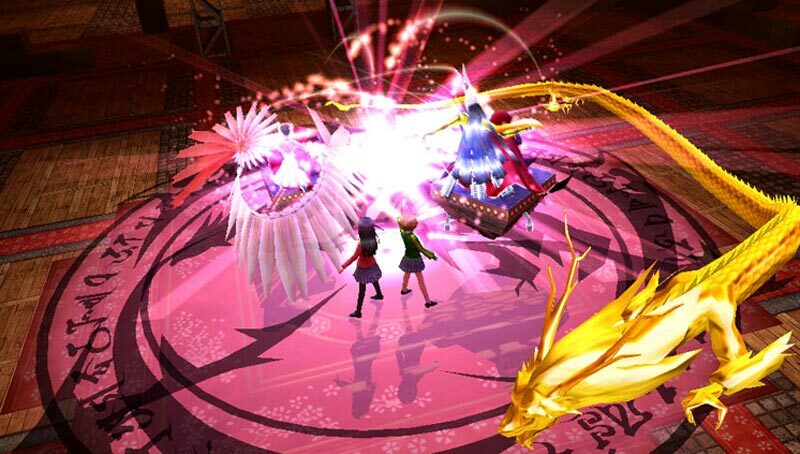 Persona 4 Golden’s greatest strength is that everything fits together seamlessly, from the connected battle and social aspects to the fresh changes. Newcomers are sure to find plenty to love, while series veterans can revisit fond memories and experience new content. This game still remains one of the best RPGs to date; don’t miss out on your second chance to experience it. The PlayStation Vita is lucky to have Persona 4 Golden. While the game doesn’t do much of note besides bringing the 2008 title to the HD era, it doesn’t need to. The story hooks you, dungeon crawling makes for a great time, and exploring your relationships while building a better army is the kind of tinkering you can get lose hours to. 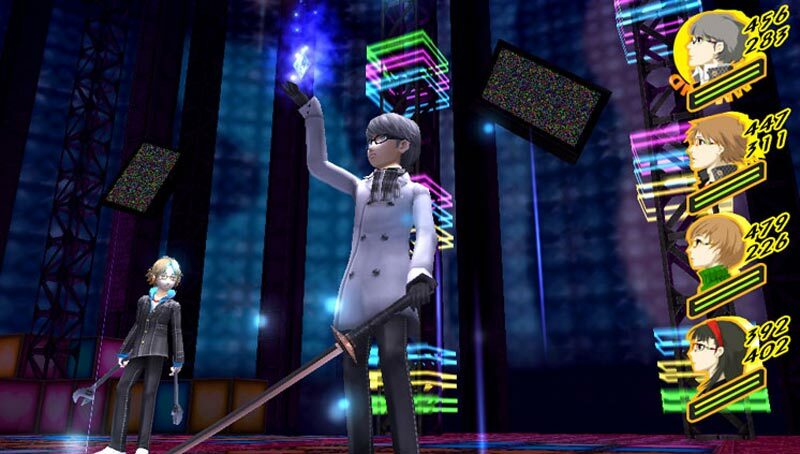 Persona 4 Golden is perfectly at home on the handheld and should dominate your free time. Persona 4 Golden is more than a retread of past glory. 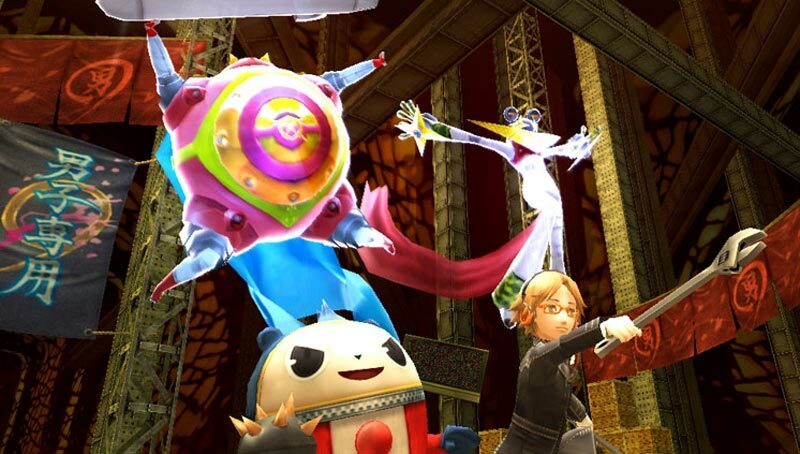 It takes the core story and formula of the original Persona 4, but it builds on it in myriad brilliant ways â?? from the much more welcoming combat mechanics to a story whose few plot holes have been filled. It's the tightest, best-written, and most must-play game Atlus has ever created. Persona 4 started as a strong, singular RPG; with Persona 4 Golden, it is a masterpiece. With so much content in such a tiny package, P4G will keep me occupied for months trying to nail down every possible ending and effectively complete the game to a 100%. With that in mind, it’s time for me to dive back into the Midnight Hour. Do yourself a favor and go out to pick up Persona 4 Golden right now, you won’t regret it. This lengthy, unique, and upbeat JRPG is absolutely worth the many dozens of hours your inevitably sink into it, making it an essential addition to the Vita's repertoire. Persona 4: Golden proves as endearing, powerful, and emotionally charged as it did in 2008, but with a host of new features and newcomer crutches, the experience can't be beat. Despite a few small hiccups, including the odd one-hit kill from an unassuming shadow, Golden manages to yank at your heart and delight in even servings. There's no better game for your Vita this holiday season. Persona 4 remains one of the most engaging, thoughtful, and enjoyable RPGs of recent years, having already earned its status as a genre classic upon its original release. Persona 4 Golden's well-thought-out and well-implemented augmentations serve to make an already fantastic game even better, resulting in a superlative game experience that belongs in any Vita game library. Persona 4 Golden is a triumph on PlayStation Vita. Hundreds of hours of portable goodness is carried by console-quality presentation, a gripping narrative, and compelling gameplay. It's fair to say that the themes and style of Persona 4 are somewhat niche, but any Vita owner who passes on this masterpiece will be doing themselves a tragic disservice. It might not break new ground in the genre, and it might not push one million systems, but everything that glitters is in Golden. Persona 4 Golden is a fantastic modernized expansion of a brilliant RPG that many will have missed simply because it released out of sync with its original console generation. ...For those who allow themselves to become emotionally invested in the world, its characters and its events, this is an engrossing life sim with a gripping turn-based RPG story to keep you hooked, and a meaningful decision-based consequence system that introduces enough variables to warrant multiple playthroughs. Persona 4 Golden sports a phenomenal amount of content packed into a single card. One of the PlayStation 2's greatest role-playing games of all time graces the Vita with slick, vivid aesthetic improvements, loads of additional areas to explore, and tons of reasons to come back even if you've beaten the game into the ground. For gamers curious about the franchise and looking for a way in, Persona 4 Golden is easily the best place to start, as it's the best looking and playing Persona game yet. 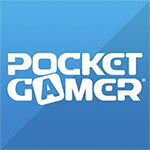 And if you don't have a Vita yet, this is probably the best reason yet to get one. Persona 4: Golden is a beautiful and content-rich bundle of joy for Vita owners looking to dust off their woefully undersupported handhelds. The subtle incorporation of new characters, scenarios, and even online connectivity takes full advantage of the new hardware without compromising content or story quality. Persona 4 Golden really is the complete package. It has an amazing story, charming characters, intense combat, and huge amounts of gameplay. Indeed, you'll be hard pressed to find an RPG as polished and well designed as this one – and whether you're new to the genre or an expert in the field, this is the very definition of a must play. It is an attractive, aural treat with a world and characters that ooze personality, a combat system that manages to be challenging in a rewarding manner, and a compelling storyline that ties everything together. Every time I put it down, I almost immediately wanted to pick it up again and play some more.This is a massive game, even on the first playthrough, and it warrants multiples since there are so many different social links to explore, side-quests to do, and even multiple endings to see. Thematically, too, Persona 4 has real impact. Ostensibly, this is a game about being a teenager living in extraordinary circumstances - but beneath the murder-mystery premise, it's easier to relate to than that. It's a game about negotiating the murky waters of adolescence, rolling with the hurtful buffeting of pubescent relationships, grappling with self-image, peer pressure and modern life's demand that we all grow up quicker than our parents did. Whatever part of the adventure we are in, Persona 4: The Golden makes us want to carry on, dig deeper into the story, find out more details - to really immerse ourselves into the virtual life we're living. Few games on the market are as packed, memorable and satisfying as Persona 4: The Golden, the first clear candidate for Game of the Year 2013 and a title that makes the PS Vita worth owning. Estoy seguro de que entre los usuarios de Vita hay cierta desconfianza tras este año y poco de vida de la consola en el que su catálogo no termina de despuntar. Persona 4: Golden es gran un voto de confianza ante lo que esperamos sea un punto de inflexión a corto plazo. Atlus sigue siendo una de las compañías favoritas para todos aquellos usuarios que disfrutamos jugando a JRPG. Y Persona 4 Golden es una de sus creaciones más sobresalientes hasta la fecha, siendo uno de los juegos de PS Vita más adultos, recomendables, largos y sorprendentes de cuantos posee la portátil de Sony. ... Eso sí, tened presente que está totalmente en inglés. 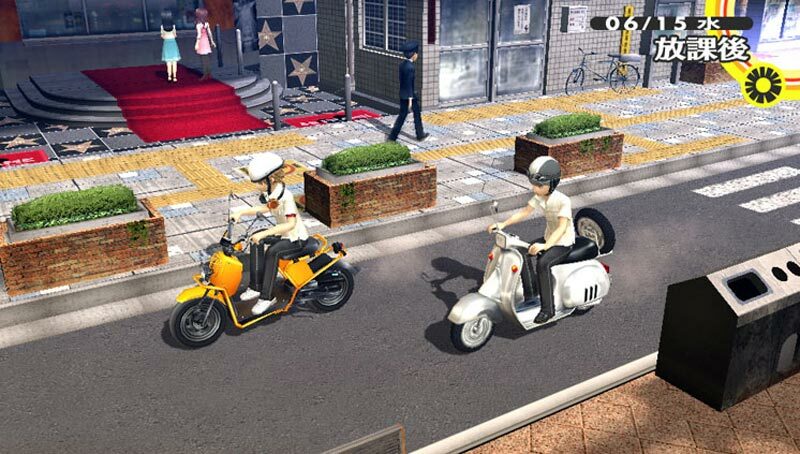 Nos habían prometido un remake, pero el contenido que encierra Persona 4 Golden en su interior bien podría venderse como un spin-off o una continuación potenciada. Hablamos de un título que en su versión original ya representaba el cenit del JRPG en dos vertientes: la social y la relacionada con los dungeon-crawler. La edición que Atlus ofrece ahora para PSVita es un ejercicio de estilo en el que se mejora absolutamente todo lo que no brillaba con luz propia en PS2. Die fordernden taktischen Gefechte sowie die enge Verknüpfung des Alltagslebens mit dem Fantasykampf machen Persona 4 allerdings noch heute zu einem der besten japanischen Rollenspiele. Ein hervorragendes Artdesign, der motivierende Aufbau starker Personas und die spannende Geschichte tragen ebenfalls dazu bei. Es ist ebenso traurig wie bemerkenswert, dass der PS2-Klassiker vielleicht das Beste ist, was Vita-Besitzer in diesem Jahr erleben dürfen! Beau, long et extraordinairement immersif, Persona 4 : The Golden est probablement l'un des meilleurs spin-off de Shin Megami Tensei auxquels nous ayons eu l'occasion de jouer jusqu'ici. A moins d'être allergique au genre ou de ne rien comprendre à la langue de Shakespeare, on n'hésitera pas une seconde à se le procurer sur Vita. Persona 4 : Golden, malgré sa localisation qui détruit tout espoir pour les anglophobes, est un titre à essayer, ne serait-ce que pour son ambiance si particulière et ses excellentes idées de gameplay. Parfaitement carré tout en défrichant des zones vidéoludiques encore vierges, le soft d'Atlus réussit le pari d'être profondément original sans être inaccessible. Avere una PlayStation Vita e non acquistare Persona 4: Golden, in ogni caso, sarebbe una follia, vista la penuria di titoli per la console portatile Sony e, soprattutto, l'elevatissima qualità del GDR Atlus. La qualità della trama, dei dialoghi, del design e del gameplay sono tali da rendere questo piccolo gioiello assolutamente indispensabile. 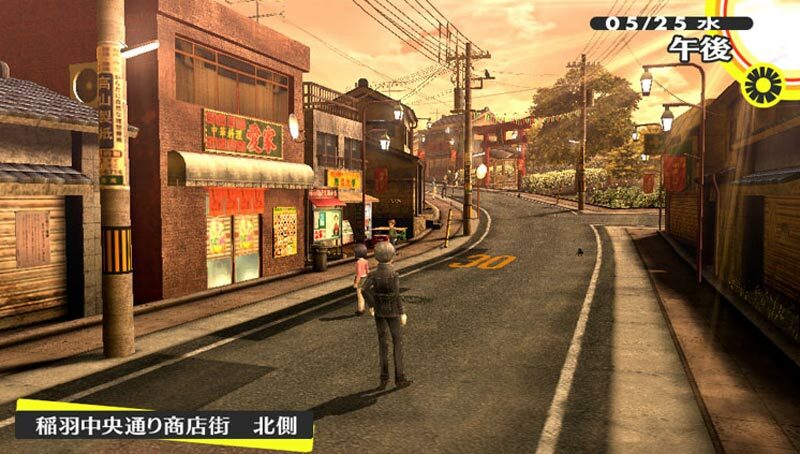 Inutile girarci attorno, Persona 4 Golden è quanto di meglio si possa trovare oggi, come allora, in ambito di giochi di ruolo giapponesi. Presenta una storia matura, tematiche profonde, dialoghi in inglese raffinati (la versione nostrana non presenta un adattamento del testo in italiano), personaggi credibili e carismatici, una meccanica di gioco coinvolgente e un sistema di combattimento classico ma efficace.